With over 1 billion active user accounts, WeChat is the single most effective platform for luxury brands to engage with their affluent Chinese tourists before, during, and after their trips. 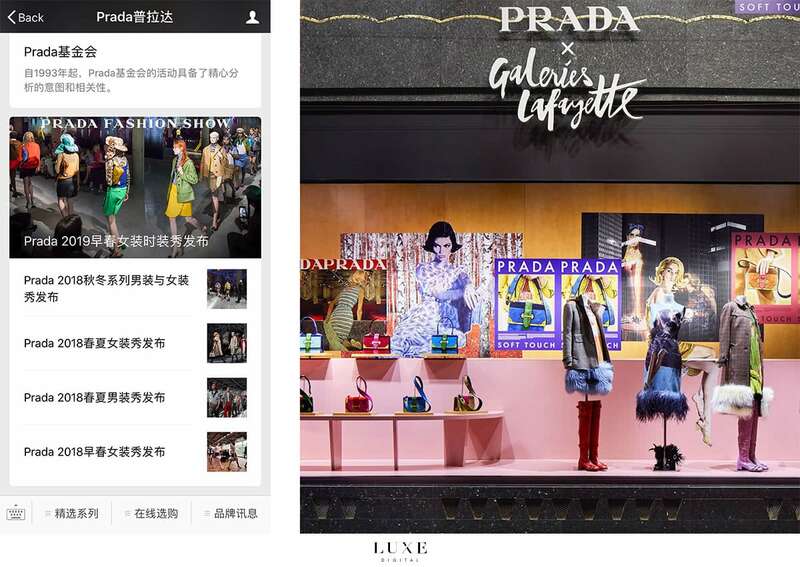 By creating an official brand account on WeChat, luxury brands can share news and updates with their followers. But the platform is now much more than just a news feed and a messaging app for wealthy Chinese Millennials. 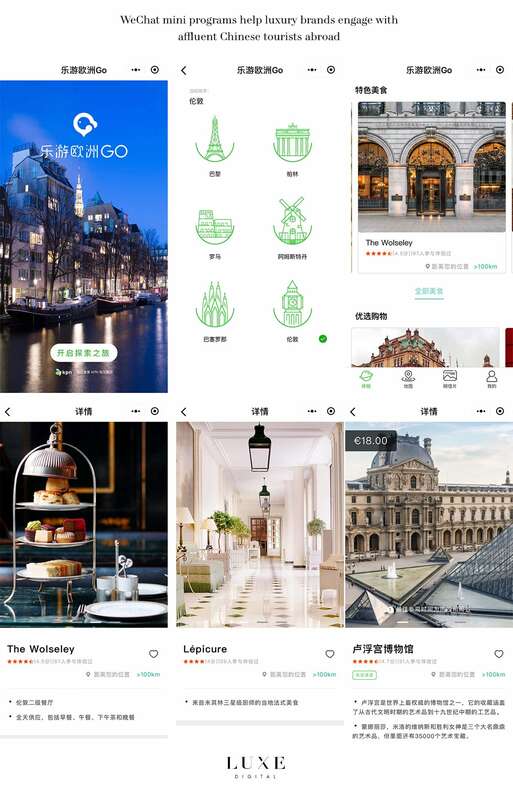 In April 2018, WeChat announced the launch of Go “Europe Experience” Mini-Program for six of the most popular Chinese tourists’ travel destinations in Europe: Amsterdam, Paris, Berlin, Rome, London and Barcelona. The WeChat mini programs provide detailed information about the six cities, including tourist attractions, dining recommendations and, of course, high-end shopping locations. WeChat offers detailed business information, such as restaurant and retail stores addresses and opening hours. Chinese tourists can also use WeChat to purchase tickets for popular shows and attractions or receive promotional discount vouchers from local vendors. Following the launch of its mini-programs, the mobile app announced the launch of WeChat Brand Zones in December 2017. Brand Zones effectively enable brands to reach and engage with new potential clients even if they don’t currently follow their official WeChat account. As a result, the opportunities for luxury brands to build awareness on WeChat and engage with affluent Chinese tourists abroad are now immense. When targeting affluent Chinese travellers, global luxury brands should emphasize the international culture of their brand and the exclusivity of certain products or collections that are only available in selected stores and countries. 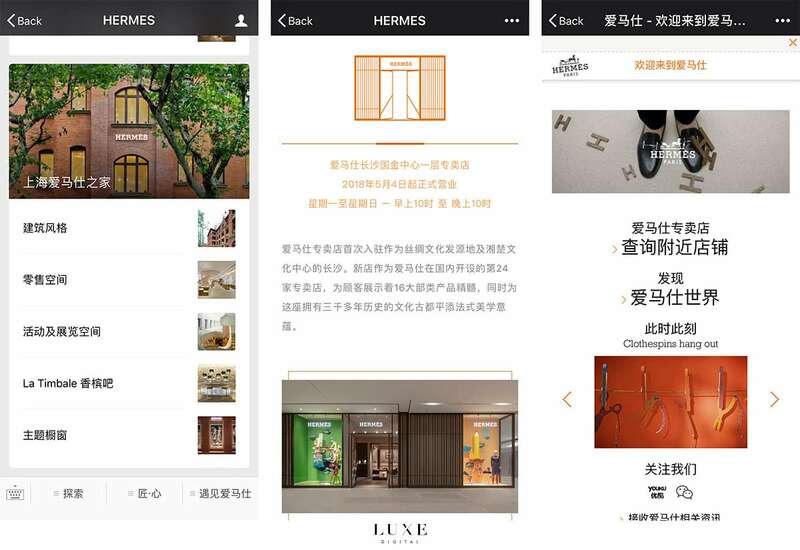 Hermès releases exclusive editions limited to certain stores via its WeChat account. WeChat has a geo-localisation feature that allows its users to share their location online. While travelling abroad, affluent Chinese tourists, Millennials and Generation Z in particular, enjoy the prestige of checking-in at a luxury location. High-end brands should encourage their visitors to check-in their stores by offering exclusive content to clients on WeChat. Guerlain ran a campaign with duty free store Sunrise to promote its line of KissKiss Matte lipstick to Chinese frequent flyers. Another useful feature of WeChat is the option for brands to send personalised notifications to their followers when they are within a certain proximity to their store. You can, for example, welcome your followers as soon as they arrive at their travel destination and provide helpful information about your store location. Prada geo-targeted Chinese travelers in Paris by promoting its pop up store collaboration with Galeries Lafayette. 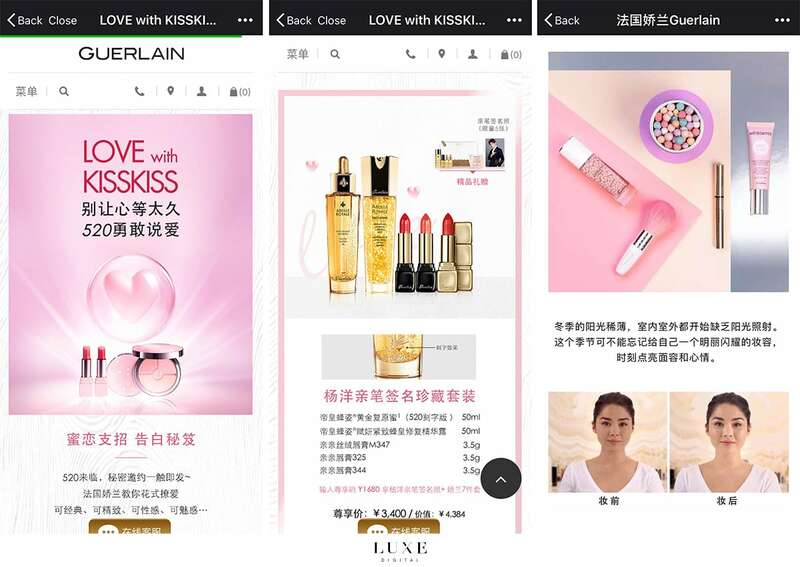 Luxury brands can encourage their customers to spread the word by including WeChat QR codes on their brand merchandising, catalogues and packaging. The QR codes help customers rapidly find your brand page on WeChat, so new potential buyers can discover your product. 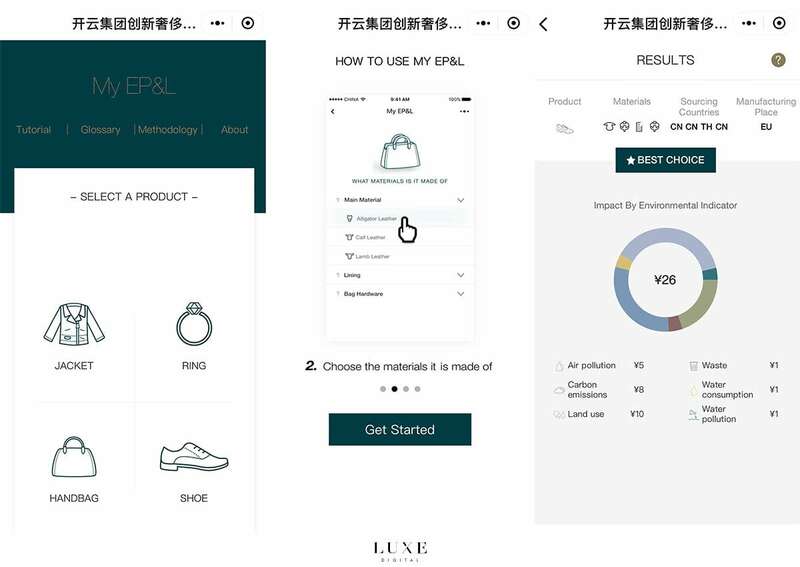 The Kering Group released a mini program on WeChat to help Chinese consumers understand and evaluate the environmental impact of their purchases. The mini program is accessible via a QR code displayed in-store and on the brand’s websites. WeChat can help customers locate your store with its geo-targeting and store locator features. The app includes an option to book a taxi or save driving directions for a later offline usage. It can also be used to book an appointment with a store sales representative. Note that you need to make sure that your international stores are all integrated with WeChat for the location-based services to work. Most luxury brands at the moment have only connected their Chinese stores with the platform. WeChat can help customers locate your store with its global store locator feature. The feature includes an option to book a taxi or save driving directions for a later offline usage. It can also be used to book an appointment with a store sales representative. Note that you need to make sure that your international stores are all integrated with WeChat for the location-based services to work. Most luxury brands at the moment have only connected their Chinese stores with the platform. Chinese customers will often turn to WeChat when trying to communicate with a retail staff. The app includes information that will help reduce the impact of the language barrier by providing up to date information on your stock availabilities and prices if your store is registered with WeChat. 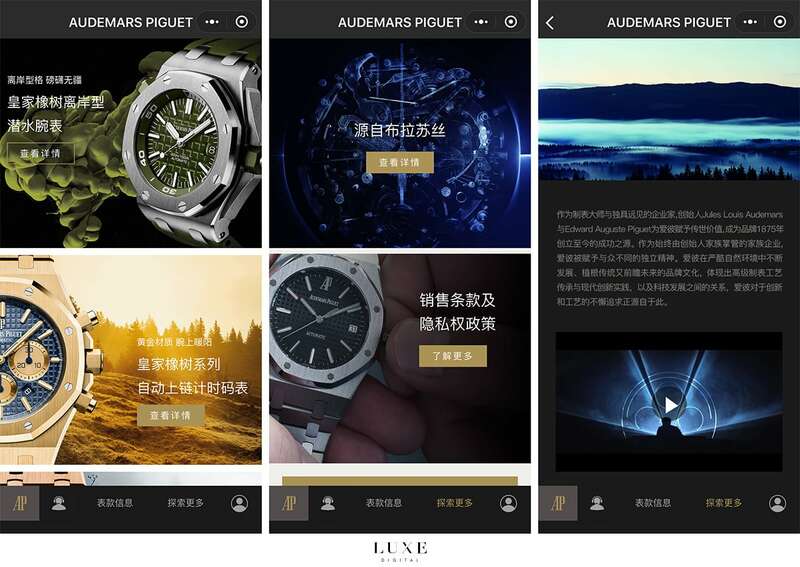 Audemars Piguet launched a pop-up store in China via a WeChat mini-program, selling its luxury watches directly from the application. Gain deep customer insights and analytics: Big data and rich customer insights is at the heart of an impactful digital marketing strategy online but also offline. 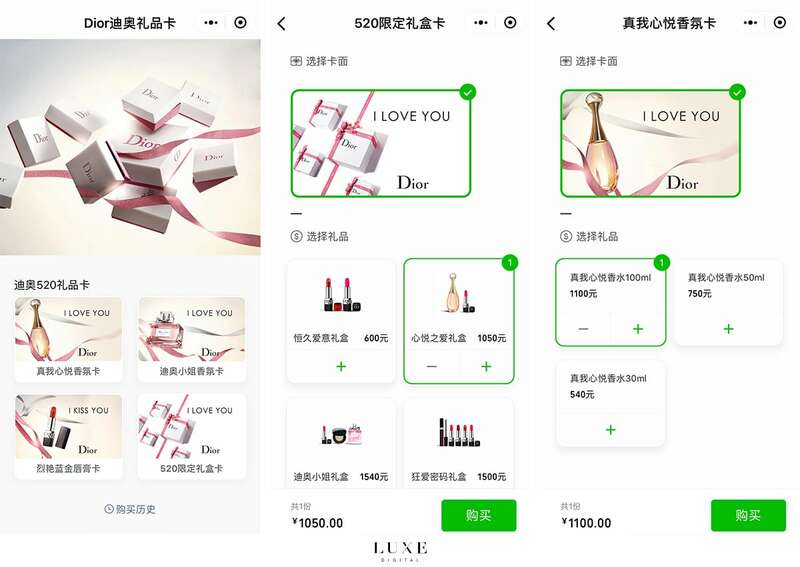 With WeChat, luxury brands get access to a wealth of information on their existing and potential customers. The app provides a CRM capability for brands to manage their outreach campaign or send targeted satisfaction surveys to their customers. The Dior WeChat mini-program let’s users browse and purchase products directly from the app. Customers’ information is collected in a CRM to enable marketing retargeting.